The Solitaire Pi Player is the central element of a complete content to screen signage solution from TinyGreenPC. Based on a low-cost Raspberry Pi computer, Pi Player complements the TinyGreenPC portfolio of x86 and ARM based players and offers a hardware platform that is integrated with industry-recognised content management systems and popular screen options for below £300. “The Raspberry Pi has a hugely powerful graphics processor on board, which is fully capable of matching a high-end dual or quad core x86 PC in terms of quality of graphics and video output,” commented Paul Mullen, sales director of TinyGreenPC. Features like multiple zones, multiple layers, smooth animation and cinematic effects such as depth of field are integral to the player. 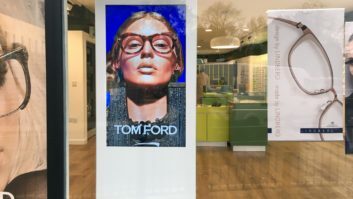 The company has also partnered with InStore Media to deliver content management through its newly launched ‘NOW’ product portfolio, which is fully compatible with most manufacturers’ screens to create a ready-to-use professional signage solution.